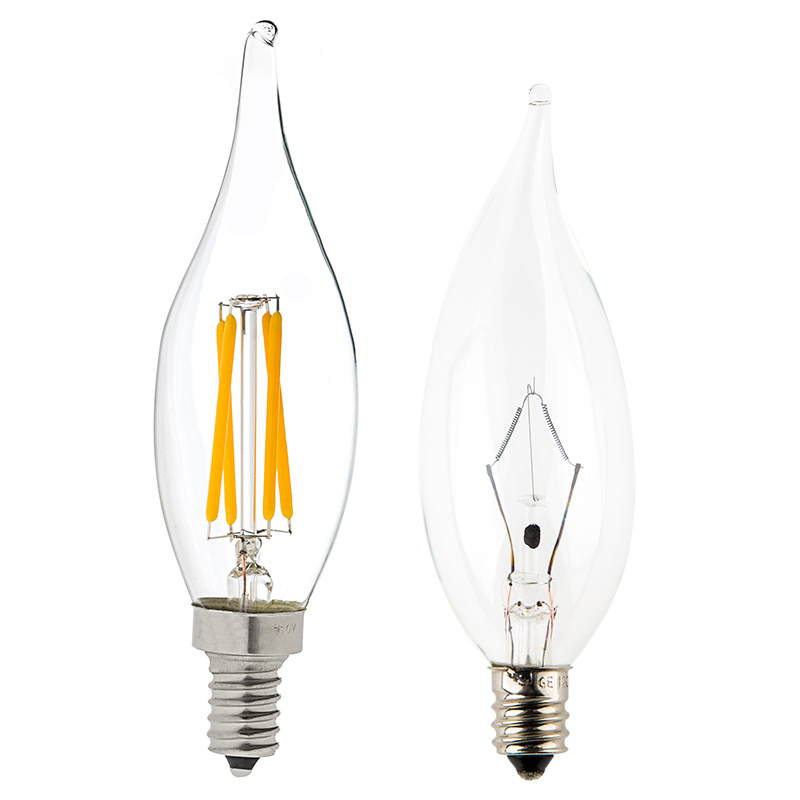 LED Filament Bulb - CA10 LED Candelabra Bulb with 4 Watt Filament LED, Bent Tip: On Showing Beam Pattern In Warm White (Left) And Ultra Warm White (Right). LED Filament Bulb - CA10 LED Candelabra Bulb with 4 Watt Filament LED, Bent Tip in antique chandelier. 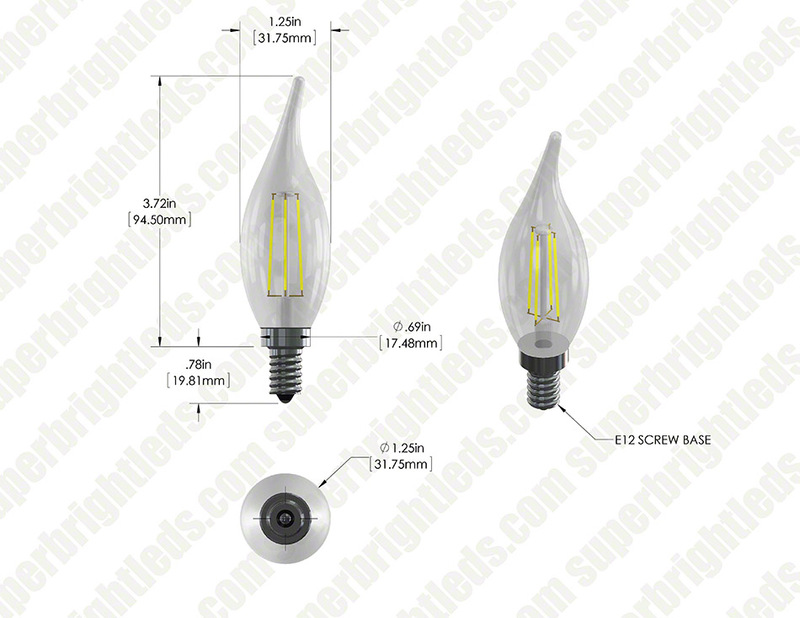 LED Filament Bulb - CA10 LED Candelabra Bulb with 4 Watt Filament LED, Bent Tip: 360° View. 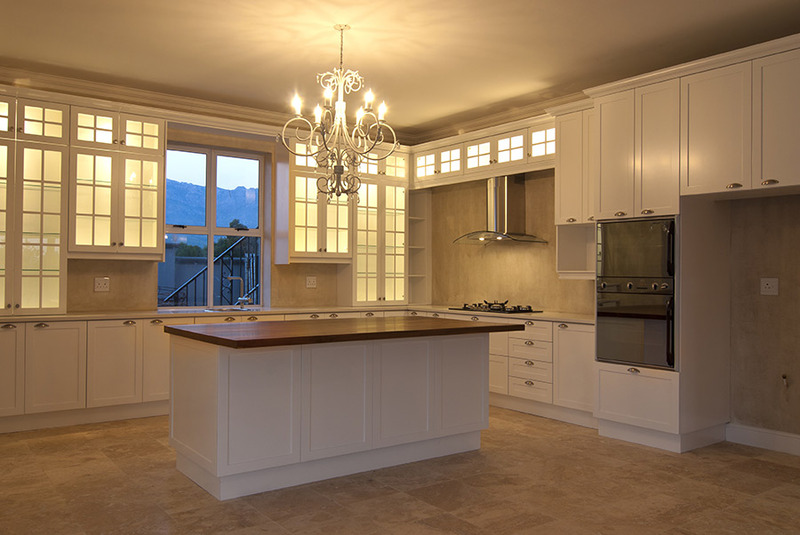 LED Vintage Light Bulb - CA10 Candelabra LED Bulb w/ Filament LED - 4W Dimmable: Shown In Kitchen Candelabra In Warm White. 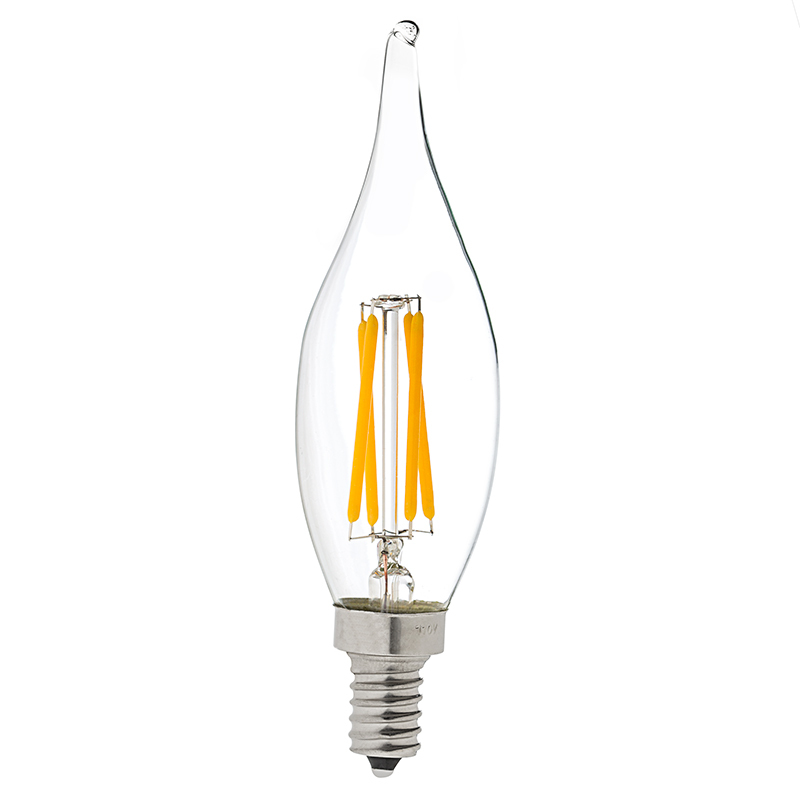 This household LED filament bulb with bent tip has an elegant, vintage look that is perfect for chandeliers, wall sconces, ornamental lights, commercial light strings, decorative light strands or for any decorative application that accepts CA10 candelabra LED bulb types with E12 bases. 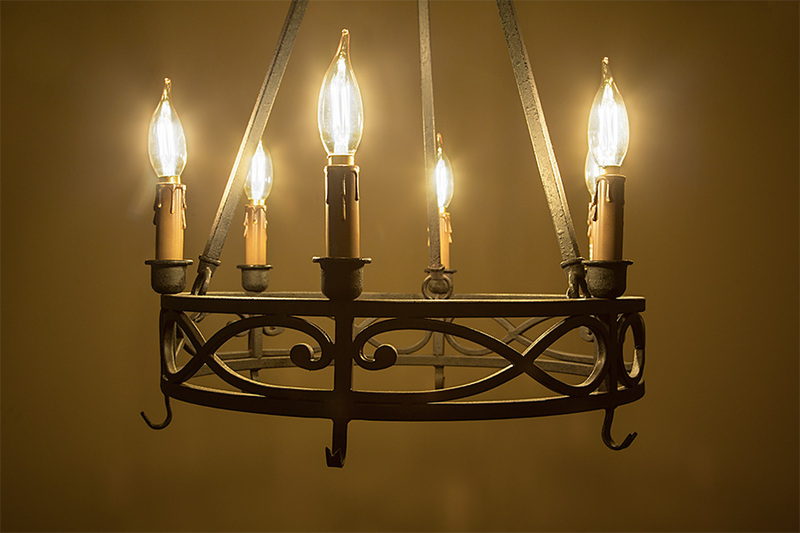 The dimmable CA10 candelabra bulb has linear LEDs that imitate the look of thin filament wire in antique-style bulbs. 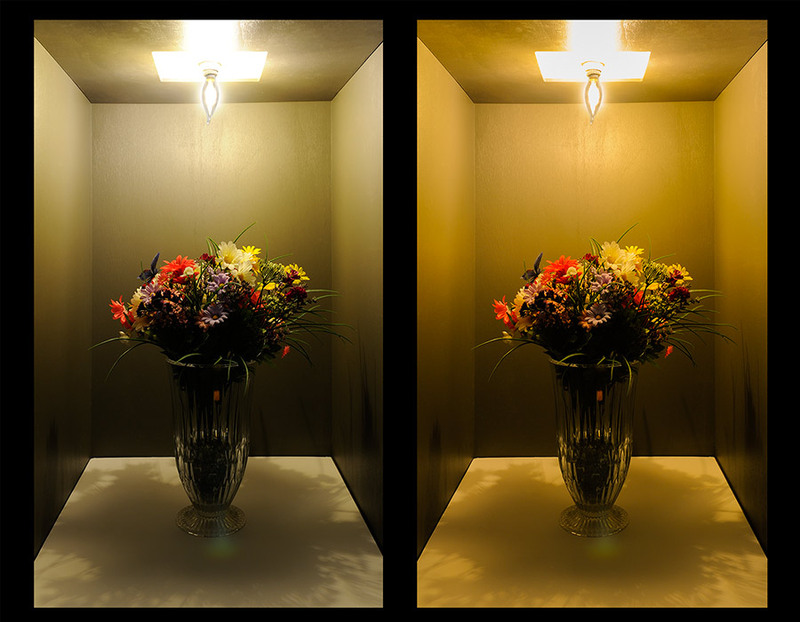 4 COB (chips-on-board) LEDs produce 375 lumens of warm white light at 2600K color temperature and emit a 360° beam angle for allover illumination. The energy-efficient bulb uses only 4 watts of power; an incandescent bulb with comparable light output would consume 40 watts. This bulb operates within a 110-130V AC range and is designed to last 30,000 hours—25 times longer than incandescent bulbs. Price per bulb. These bulbs are great. They are completely different than any candleabra bulb i have ever seen. 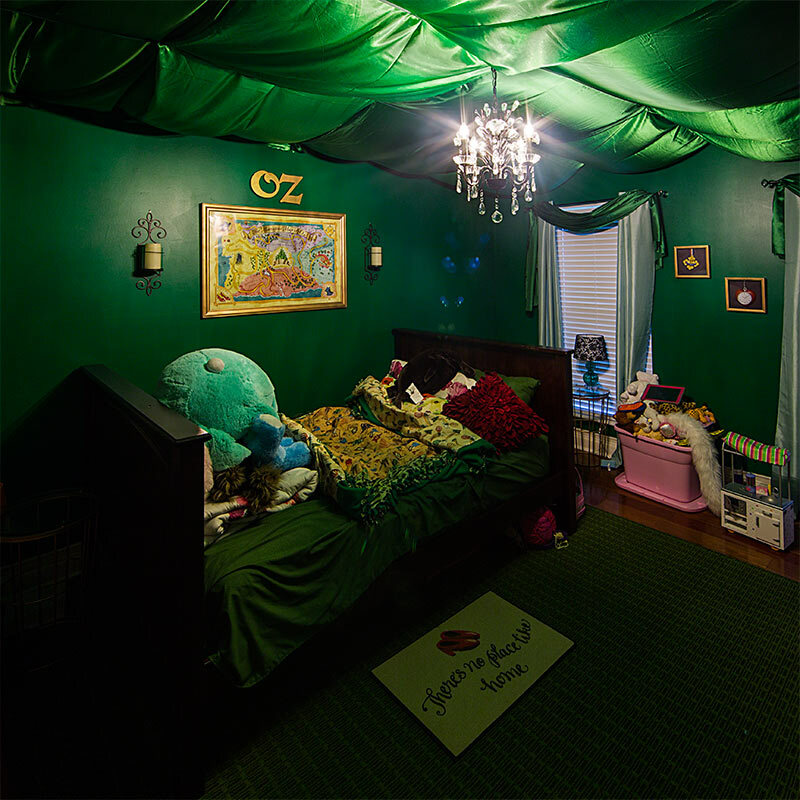 The only issue i had was with the dimmers. My original dimmers, which were not LED rated, would dim the bulbs from bright to very dim. However, they leaked so much power the bulbs would not shut off. I tried a new led rated Lutron Maestro dimmer which did not work at all. I switched to a Lutron Diva dimmer which works perfectly. Dims and turns off. great look. 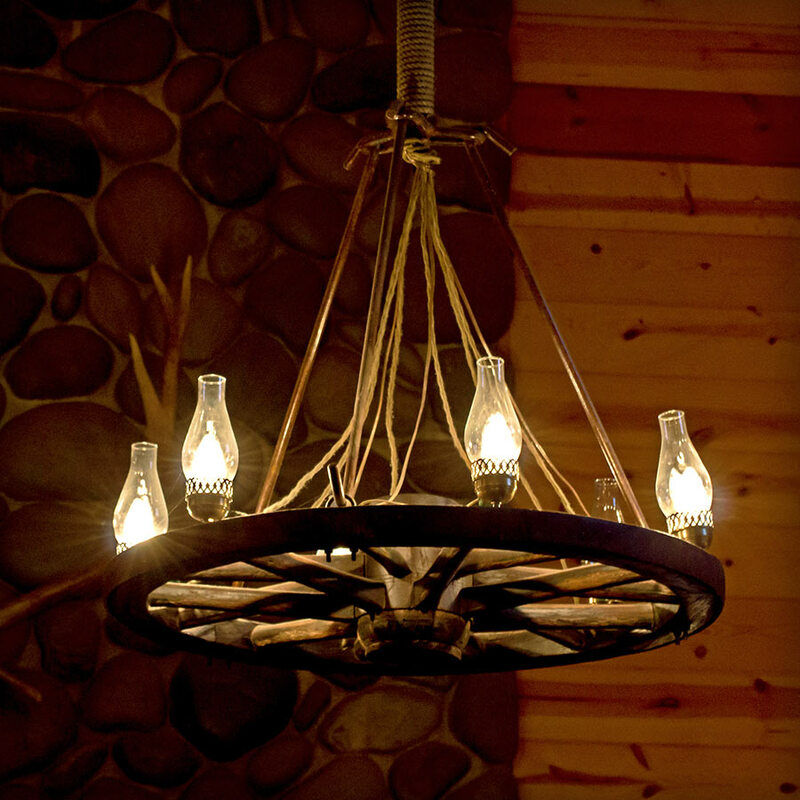 perfect for decorative chandelier. great vintage look and good brightness as well. The brightness level perfectly matches the incandescent it replaces. The shape of the glass is a great match too. 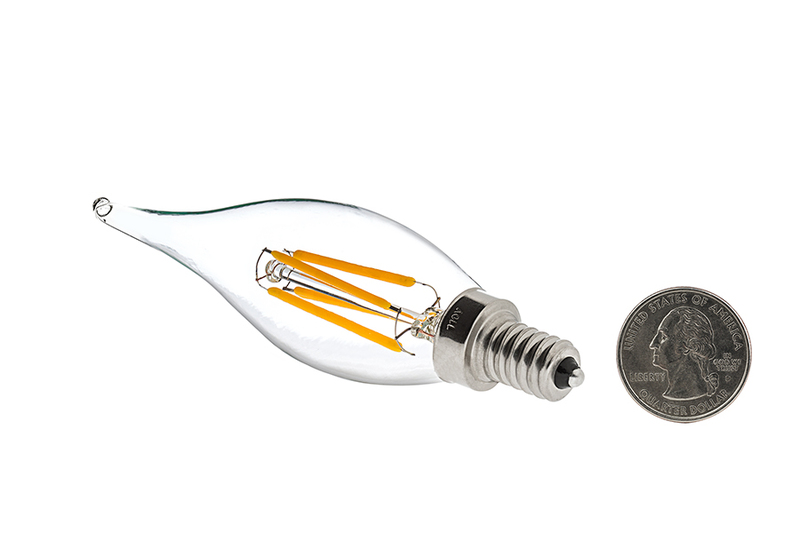 Unlike many other LED replacements the base is nearly as small as the incandescent, so they look great! I have installed 16 of these bulbs. None of them are on dimmers so I can't rate them on dimming. 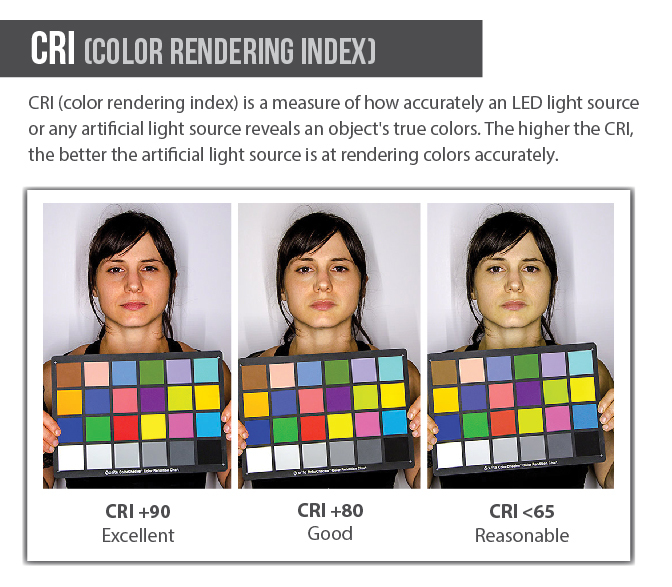 Color is very good and they are about as bright as 40w incandescent bulbs. Hugh improvement in style over the previous generation. They are larger than the incandescent bulb that they replace. 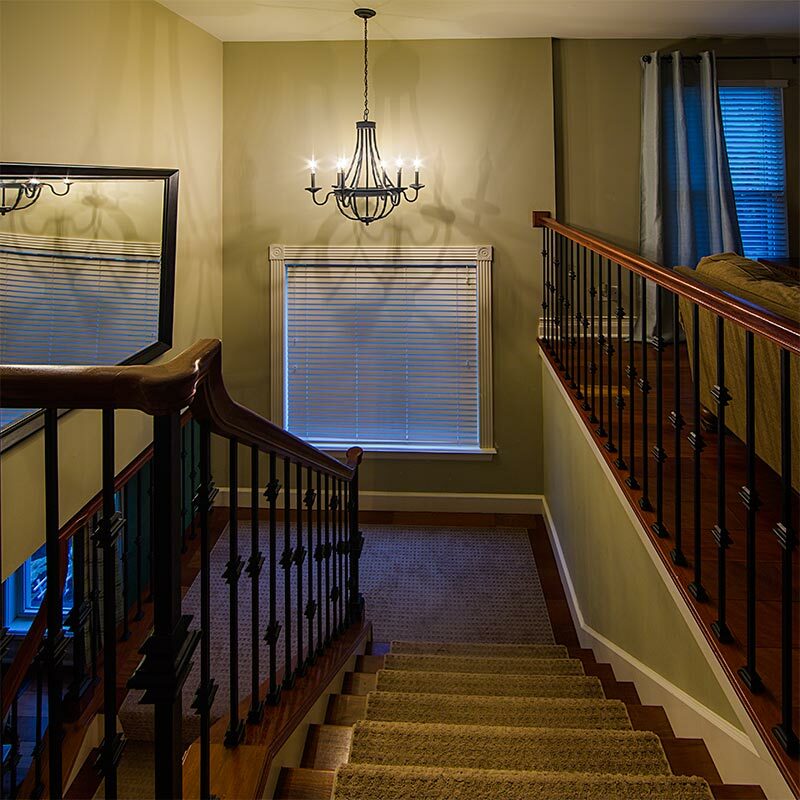 These bulbs are probably the best replacement option for incandescent candelabra bulbs but the incandescent bulbs still look better if the light is always in your line of sight (like hanging over your kitchen table).